Although these natural repellents don’t bother us in any way, flies can’t bear them. Try them today! You will drive away the troublesome insects in the shortest time. Cloves are more than a delicious spice. They have properties that drive away flies. If you combine them with lemon, you get even better results. Stick the cloves into one of the two sides. Repeat the same procedure with the other half. Put the lemon halves in separate corners of the rooms or at the windows. The emitted scent keeps the flies away. 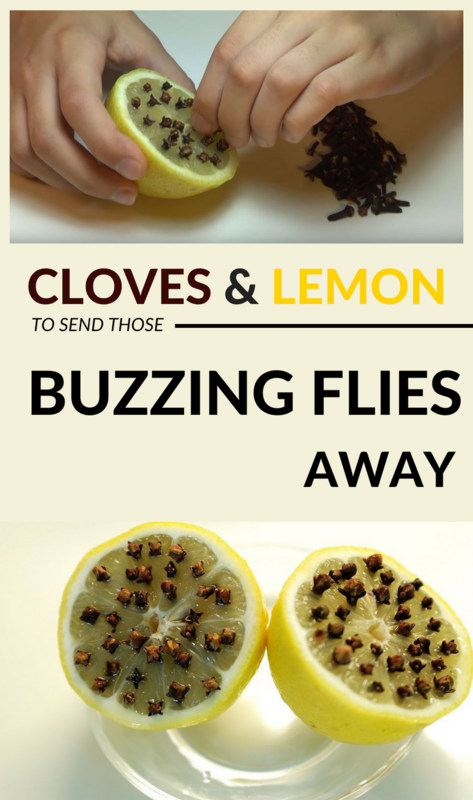 If you wish, you can repeat the procedure several times and put lemons and cloves in several places in the house to drive away these unpleasant insects.